Spacious villa, each bedrooms with bathroom, great view on the Giant Mountains! Property 8: Spacious villa, each bedrooms with bathroom, great view on the Giant Mountains! 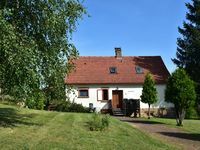 Property 9: Spacious, charming holiday home in Lampertice, ideal in both summer and winter! Property 14: Holiday home with a convenient location in the Giant Mountains for summer & winter! Property 26: Apartment close to the forest.Ideal for hiking. An attractive apartment with a swimming pool in a farmhouse. Property 28: An attractive apartment with a swimming pool in a farmhouse. Property 32: An eight-person holiday home with a private swimming pool.